If you have ever thought of starting your real estate career, there has never been a better time to start than now in Tampa Bay. Have you ever wondered to what extent you could be successful as a real estate sales associate? SI Real Estate is seeking goal oriented, extremely energetic, consumer-centric individuals to join our real estate boutique. Real estate in Tampa has changed. The industry is alive and the recovery is in full swing. Now is the time to be front and center in Tampa’s real estate market place. The internet has changed the way we all do business. Standing out in a crowded world is where we excel. 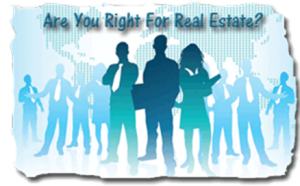 The real estate industry needs fresh thinkers, and cutting edge professionals. Now more than ever, home buyers and home sellers need a trusted adviser in real estate. SI Real Estate, Tampa, has a great need for new real estate associates who can grasp the new technologies that we are employing. Our internet marketing is generating thousands of prospective customers each year, and we need professionals to continue delivering high quality services that today’s real estate clients expect. We will honestly represent the facts exactly as they are, and tell the client exactly what they need to know. Our success is founded on the client’s judgment that the transaction was fair, so we execute contracts only if in all parties’ best interest. We will communicate with integrity, clarity and transparency. We keep clients informed. We comprehensively discuss all business and contractual obligations and issues. We will honor the trust given us by keeping sensitive and confidential client information private. Beyond legal boundaries, we look to higher ethical standards in the security of client information. We will close. We will fulfill all our obligations, and we will not quibble. We set our dedication to client service as the measure against which we seek our clients’ endorsement. SI Real Estate has more leads than our sales associates can now manage. If you are looking to join a cutting edge team that provides ample leads, strong support for agents, and has a reputation for success, contact SI Real Estate today. We can be reached at our office 813.631.5144 or email resume and cover letter to Sales@SIRealEstateInvestments.com. All inquiries are confidential.